Start your month off right! Scratching, mixing, and beat juggling by DJ MORDA aka This Is Classic and clasSIC sounds of House, Hip Hop and Funk music by Dj Jormas. Hot atmosphere & cold drinks all night long, bring your friends and get ready for a crazy night! First Friday - Doors @ 11:00 p.m.
First Saturday - Main Bar - Music @ 10 p.m. 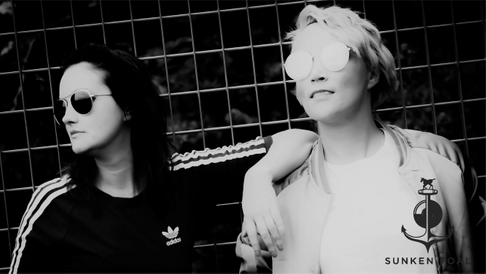 Founded by DJs Mr Yip and Lil’ Joey, the legendary HouseBound returns! Blending tunes from across all of house, mixing classic cuts with fresh, cutting-edge sounds, and keeping their signature vibe intact: No egos. No attitudes. Just a love of house music. 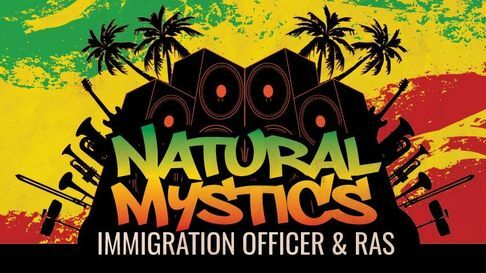 First Saturday - Cellar Bar - Doors: 10 p.m.
Immigration Officer and Ras bring you a new monthly Reggae night starting this January in the Café René Cellar Bar. expect the classics, the lesser know and the sub heavy from late until the AM! Second Friday - Cellar Bar - Doors: 11 p.m.
Second Saturday - Main Bar - Music @ 10 p.m. 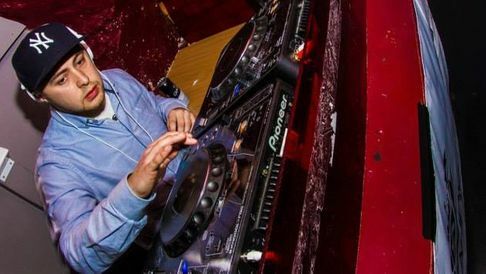 Some fella from the south of England that DJs clubs, festivals and parties. He likes any music that's fun and loud, that makes ya bang your head or shake ya rump. 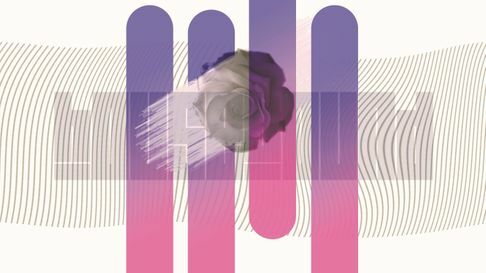 You'll hear a frothy mix of punk, metal, ska, indie, emo, electro, hiphop; whatever's clever. It'll go in your ears and come out your arse. Second Saturday - Cellar Bar - Doors: 10 p.m.
From Rock to Reggae, from Hip Hop to House and back again, Run The Beats is a night where the bar staff take control of the sounds and keep you moving 'til the am. See what moves the people that make your night! Third Friday - Cellar Bar - Doors: 11 p.m.
Two ladies, two turntables, and a stack of amazing music from all the four corners of the world (y'know it's square right?). 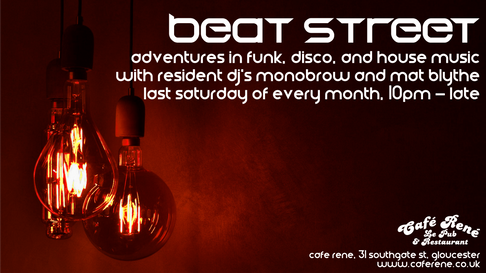 Reggae, Funk, Soul, Hip Hop, Jazz, Latin, Disco, House and a touch of Beats and Bass. Dancing is mandatory, missing out is optional. Third Saturday - Main Bar - Music @ 10 p.m.
BarberShop Sound brings you the best in Funkin’, Groovin’, Jackin’ House Music. 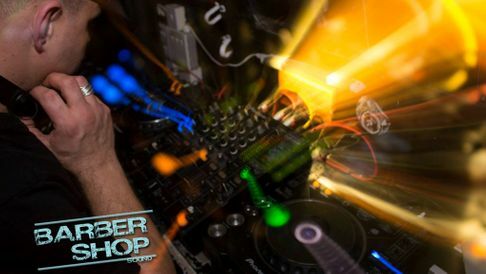 DJ Darren The Barber has been on the scene for over 10 years, holding down residencies in Ibiza and the UK with his eclectic approach to EDM. 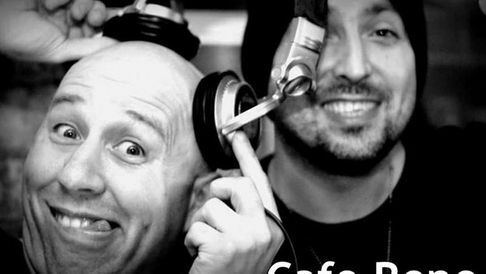 DJ's Dan Cooper and Sam Atlantis bring their Indie Disco night across the Shire to the Cellar Bar of Café René! 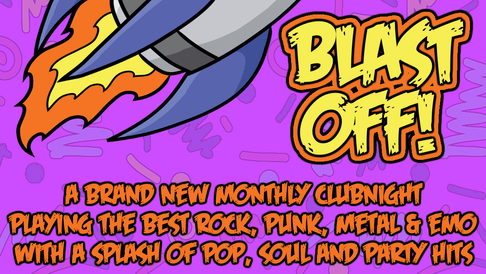 from Britpop to New Wave, Baggy to Post Punk, the best Rock 'n Roll, Indie and Alternative Classics brought together on one sweaty dance floor! 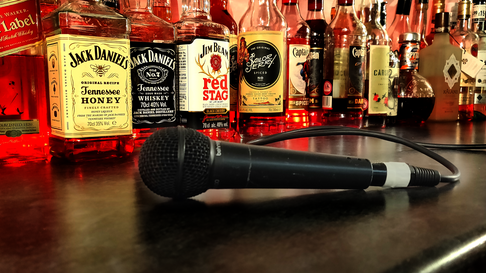 Fourth Friday - Cellar Bar - Doors: 11 p.m.
Fourth Saturday - Main Bar - Music @ 10 p.m. 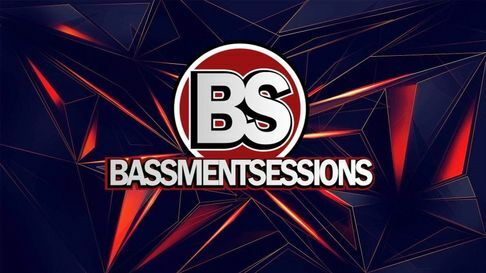 In association with Dance Conspiracy, Head DJs Jack Webb and Jenni Groves bring you Bassment Sessions, shining a light on the best and brightest in UK underground music during 2019 down in the cellar at Cafe Rene. Contact us in Gloucester, Gloucestershire, to enquire more about the cellar bar at our bar restaurant.